Shelbyville, IL Airport - Mascott Equipment Co.
Mascott Equipment Company provided this fuel system for the airport in Shelbyville, IL. 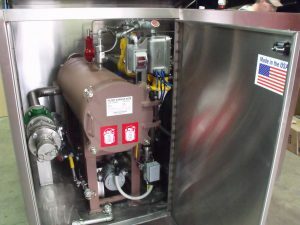 The system included a 10,000 gallon above ground fuel storage tank and self-serve dispensing system. This fuel system is setup for accepting transport deliveries at approximately 200 GPM, and dispensing into over wing aircraft at approximately 50 GPM. 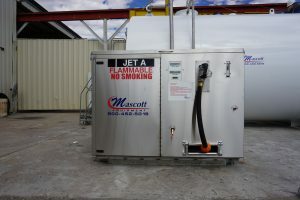 From design to specifications, Mascott can assist our customers with all of their aviation fueling equipment needs.